Attention heroes & SHIELD agents! 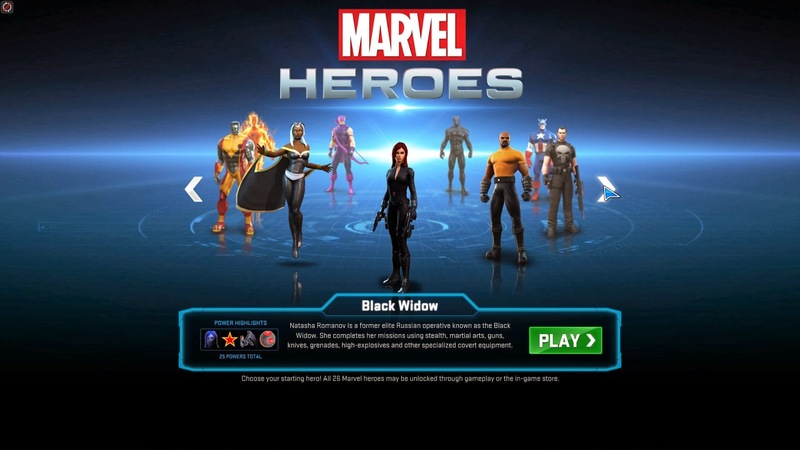 I'm back with some Marvel Heroes AND Marvel Avengers Alliance news, so keep reading...Also, all you regular MH players out there can join my Marvel Heroes group here & join in our discussions! The first Asgard patch 2.0 is finally live in Marvel Heroes! Below I've mentioned the highlights from the patch notes, along with the highlights from the patch 2.01 notes. Check out the trailer for patch 2.0! -Travel to the frozen Fjords of Norway and battle Frost Giants, Dark Elves and more. -In a server-wide event of approximately 2 weeks, help Reed Richards learn how & why these other-worldly enemies are invading Earth by donating items that have been exposed to the Cosmic Cube's energy. -Doing so will help unlock a brand new hub: Odin's Palace. -Track the progress of this event & see what rank you stand at here (ranks are only of the top 500). -Over the next 4 months, new areas of Asgard will become available, including a raid zone, PVP & Siege challenge. ^Now, once you defeat Doctor Doom, Chapter 9 opens up, taking you to Norway where you get to meet Dum Dum Dugan. -Loki is now part of Marvel Heroes! -Try & figure out why he is working with the heroes to defeat Doctor Doom. 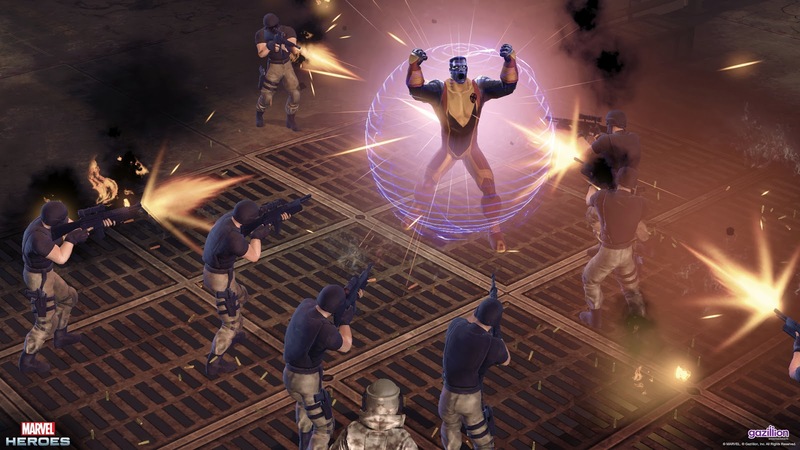 -New starter hero lineup to choose from: Colossus, Human Torch, Hawkeye, Storm, Punisher, Luke Cage, Captain America, Black Widow & Black Panther. -The hero stat page (Strength, Durability, etc.) now includes two extra points. These however, currently give very little return as a stat system revamp is planned in the future. 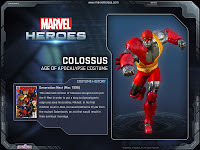 *Colossus is now fortified with 6 new powers including a new Ultimate ability (Heavy Metal), a new Signature Power (Colossal Roar) & the devastating Siberian Express! *You can summon his sister Magik with his Bond of Bloodline skill. *His previous Ultimate power (Fastball Special) is now a normal power. -These heroes have had some minor changes: Black Panther, Black Widow, Captain America, Hawkeye, Human Torch, Jean Grey, Luke Cage, Punisher, Rocket Raccoon, Squirrel Girl, Spiderman, Storm & Thor. -Many new enemy types such as Frost Giant Ice Shaper, Shamans, Dark Elf Assassins, Fae Callers & more! -Doop will now only flee once attacked or approached (preventing him from disappearing before you see him). Attack him quickly, he’s very slippery. ^The glorious new Asgard login screen! -Covered most of this in my last MH bulletin. -Medkits now stack to 50. 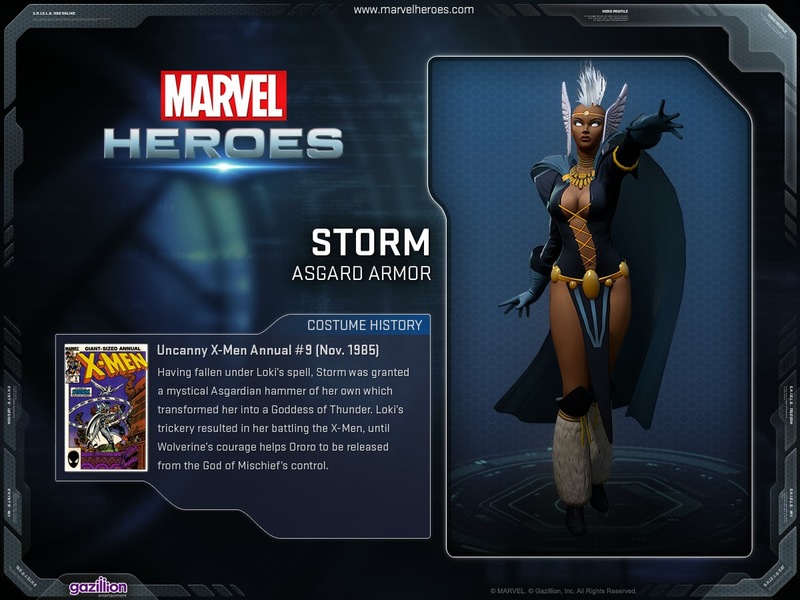 -Asgard Storm & ENHANCED Beta Ray Bill costumes now available in-game for 950G & 1950G respectively. -Waypoints now allow players to visit any story waypoint, terminal, or challenge mode, & contains a fully-featured map of the Marvel Universe (with each location marked clearly). 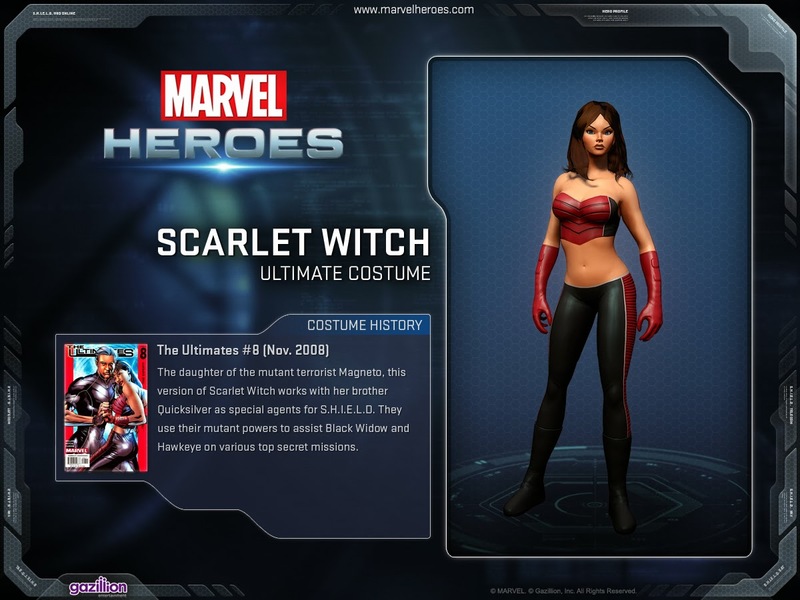 -Minor changes made to: Colossus, Emma Frost, Human Torch, Loki, Luke Cage, Ms. Marvel, Rocket Raccoon & Scarlet Witch. 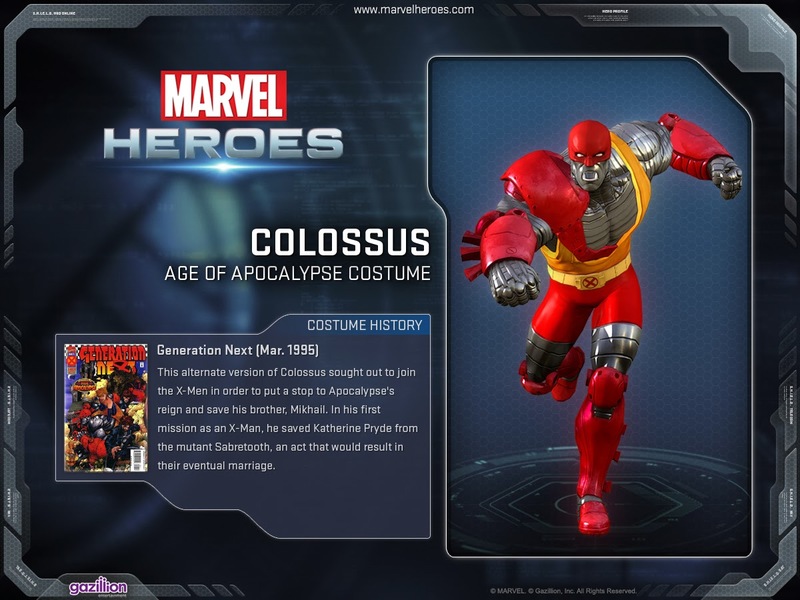 -Colossus' Age of Apocalypse costume & Scarlet Witch's Ultimate costume are now available in the in-game store both for 950Gs each. -Enemy health in certain regions has been adjusted downwards. -Doop’s health has been reduced. -Midtown Patrol now has a waypoint. -In X-Defense, X-Students have been increased. If left completely undefended from the champion (blue) attackers at Wave 10, the X-Students will generally be captured in about a minute. Check out the complete Patch notes here. -PVP Season 12 has begun with Domino being the PVP hero to win! -A new 6th page is now available for research to add to your PVP armory bonus. It takes 2 days so start it now if you haven't already! -Each armory page is now split down the middle- the left side adds offense & defense bonuses to your attacking team & the right side adds them to your defending team. -There's an "Unsocket All" button at the bottom of the armory bonus page- For a modest price you can unsocket all your armory items at once, enabling you to get back socketed items & resocket them as you see fit. -Fanged lockboxes for Sabretooth can now be won from your first 5 bonus PVP fights as well as from covert PVP tasks. So get cracking on PVP & Asgard! Until next time, keep things heroic! Any game that let's me play as Beta-Ray Bill is a winner to me. I featured your Thor review on my blog by the way.